When you're just getting started with a search marketing initiative—whether you're a new affiliate marketer, new to an industry, or launching a new product—it can be very hard to predict the impact of a new search campaign, as well as to determine an attack plan for your industry niche. We built a Free Keyword Tool for this very purpose. This guide explains how to perform niche keyword research, using our Free Keyword Tool, in three easy steps. Read on to start finding industry-specific keyword opportunities that deliver high ROI. Before you can get started in earnest, of course, you need to choose your niche. Let's say you've decided to build an affiliate site offering organic baby product reviews. Regardless of how much you know about baby products, it's challenging, if not impossible, to know ahead of time what keywords are going to be profitable for you. Keyword research will help you identify a wide range of potential keyword opportunities including less obvious terms that could potentially drive traffic and sales. Since this site is a new endeavor, you don't yet have historical data to leverage as a predictor of future performance. So you need a good basket of potential keywords to drill down on. Most keyword suggestion tools only generate a brief list of terms. But you're trying to generate a broad portfolio of keywords, including keyword variations you might not be able to come up with on your own. As you can see, WordStream's niche keyword tool returns hundreds of keyword ideas for the phrase "organic baby." This is a great start. But, unfortunately, it's very unlikely that all of these keyword suggestions will ultimately be valuable to you. A list of keywords has no inherent value—they are, in fact, just suggestions. It's what you do with your keywords that matters. So it's key to find an effective method of refining your list. 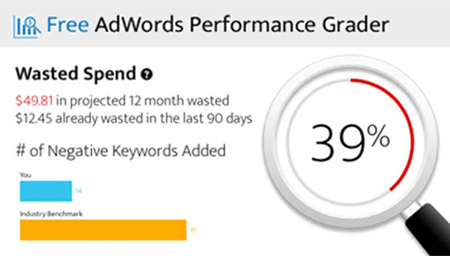 There are several ways to refine your keywords using WordStream’s Free Keyword Tool. Remember, your keyword list should be as specific to you, your site, and your business as possible. Keywords are only as valuable as they are relevant to you: you don't have to adopt every suggested term, but you should be aware of them. After all, they might indicate behaviors or purchasing patterns that can be used to inform your Display or Facebook advertising. Finally, you'll need to analyze how competitive each keyword phrase is—in other words, evaluable the relative difficulty of ranking for each niche keyword. Unfortunately, relative "competiton" alone isn't enough to conduct this sort of analysis. Once you've connected your AdWords account to the Keyword Tool, our algorithm is able to assess the viability of a given search query within the context of your existing PPC strategy. You can use it to weed out superfluous (or overly competitive) terms, ensuring that you only implement keywords that relate to your business. So Keyword Research for My Niche Site Is All Set Now? Not quite. Don't let your niche keyword research efforts come to a dead stop at step three. Successful keyword targeting requires constant monitoring and tweaking. You've invested a lot of time and energy into identifying the best niche keyword opportunities—now you can collect on that investment by consistently tracking how those keywords perform on your site and in accordance with your specific business goals. It's important to remember that just because a keyword tool returns a keyword doesn't mean you'll be able to rank for it, or that the traffic it sends from search engines will end up converting. Make continual keyword research a priority and be vigilant about analyzing and acting on keyword research to improve your results.